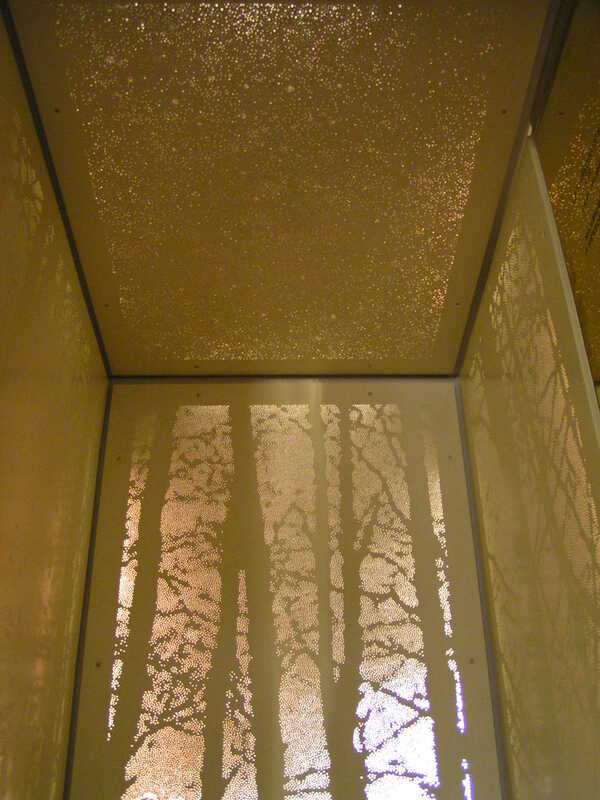 Tim Gosling-London lift interior – Drillworks. Tim Gosling commissioned this work for his clients house in London. 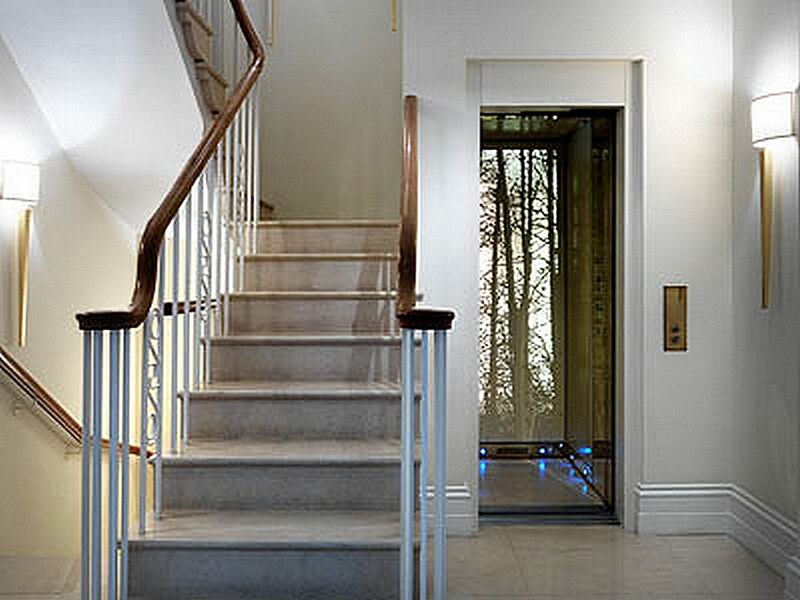 The three walls and also the ceiling of this small lift in a private residence were fitted with Drillwork panels. The walls are a treescape design taken from one image extending around all three sides. The ceiling is a starscape with the clients star sign deliberately hidden amongst them. The panels were finished in an Ivory satin lacquer to compliment the interior design project and backlit using low energy fluorescent striplights.